The Crown of the Kingdom of Poland, commonly known as the Polish Crown, or, simply, the Crown, is the common name for the historic Late Middle Ages territorial possessions of the King of Poland, including Poland proper. The Polish Crown was at the helm of the Polish–Lithuanian Commonwealth from 1569 to 1795. 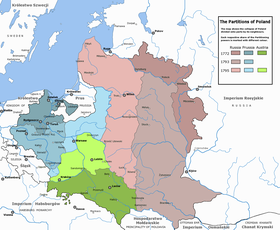 The Repnin Sejm was a Sejm of the Polish–Lithuanian Commonwealth that took place between 1767 and 1768 in Warsaw. 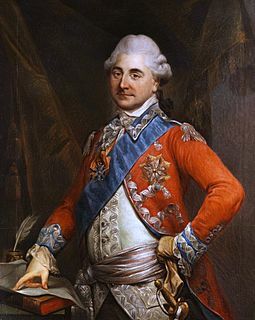 This session followed the Sejms of 1764 to 1766, where the newly elected King of Poland, Stanisław August Poniatowski, attempted with some successes to push through reforms to strengthen the government of the Commonwealth. These reforms were viewed as dangerous by Poland's neighbors, who preferred a weak Commonwealth and did not want to see it threaten their own political and military aspirations. The Russian Empire sent ambassador Nicholas Repnin, who became the driving force behind the Sejm proceedings. The Repnin Sejm marked one of the important milestones in increasing Polish dependence on the Russian Empire, and turning it into a Russian protectorate. This dependent position was bluntly spelled out in Nikita Ivanovich Panin's letter to King Poniatowski, in which he made it clear that Poland was now in the Russian sphere of influence. Ambassadors and envoys from Russia to Poland–Lithuania in the years 1763–1794 were among the most important characters in the politics of Poland. Their powers went far beyond those of most diplomats and can be compared to those of viceroys in the colonies of Spanish Empire, or Roman Republic's proconsuls in Roman provinces. During most of that period ambassadors and envoys from the Russian Empire, acting on the instructions from Saint Petersburg, held a de facto position superior to that of the Polish king, Stanisław August Poniatowski. Backed by the presence of the Russian army within the borders of the Polish–Lithuanian Commonwealth, and leveraging the immense wealth of the Russian Empire, they were able to influence both the king and the Polish parliament, the Sejm. According to their demands, the king dispensed the Commonwealth offices among the Russian supporters, and the Sejm, bribed or threatened, voted as the Russians dictated. The agenda of the Permanent Council was edited and approved by the Russian ambassador, and the members of the Council were approved by him. 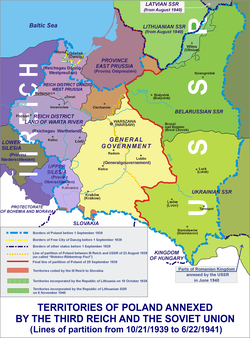 The Partition Sejm was a Sejm lasting from 1773 to 1775 in the Polish-Lithuanian Commonwealth, convened by its three neighbours in order to legalize their First Partition of Poland. During its first days in session, that Sejm was the site of Tadeusz Rejtan's famous gesture of protest against Partition. The Sejm also passed other legislation, notably establishing the Permanent Council and the Commission of National Education. Cardinal Laws were confirmed. Rejtan, or the Fall of Poland is an oil painting by the Polish artist Jan Matejko, finished in 1866, depicting the protest of Tadeusz Rejtan against the First Partition of Poland during the Partition Sejm of 1773. Both a depiction of a historical moment, and an allegory for the surrounding period of Polish history, the painting is one of Matejko's most famous works, and an iconic picture of an emotional protest.